Our service - why choose us to sell your home? At Lovett Sales & Lettings, we do things a bit differently. We believe the most important thing in the world of property is you. By truly understanding your needs we can make a real difference whether you're buying, selling, renting or letting a property. We are extremely passionate about giving you the service you deserve at a fair price. Every property we market benefits from exceptional photography, detailed floorplans and a minimum 8-page brochure to give to viewers, included as standard. We'll advertise your property in all the places that matter (property portals, social media, print media etc) and accompany every viewing. We work with you to achieve the best price, and in the shortest time. Once we have an offer we work tirelessly to chase it through until completion day, ironing out any potential bumps in the road on the way. Our team has an extensive knowledge of the local area, with over 100 years combined experience. We're always at hand to provide you with the sound advice or peace of mind you need, so please don't ever hesitate to get in touch. You can rest assured we handle every property transaction with the care and attention it needs. We really understand the importance of quality photography and cutting-edge technology. Exceptional photography, beautiful brochures (see below) and floorplans are standard with every property we work with. A potential buyer will spend hours searching possibly hundreds of homes listed online. When your property appears on their screen it has to jump out at them. Then when they click through to the full details they need to have all the information they are looking for, while showing your home is its best possible light. The better the quality of the listing the more time they will hover over your property. The more time they spend considering your property the more likely they are to pick up the phone and arrange a viewing. At Lovett’s we are passionate about your online listing, it’s the first step in generating interest for a sale. We are fanatical about the quality of our listings, and also offer virtual tours as an optional extra, should you desire this feature (we can recommend whether it is appropriate for your specific property). This attention to detail separates your home from other potential homes on the market. We know that over 50% of potential buyers now access websites via a mobile devices – a figure that is rising. Be it a tablet or phone it’s now critical that those buyers have a great experience. At Lovett’s we have the very latest technology to ensure our website is fully responsive. This means it works all the time and looks great whether the potential buyer is visiting from a computer, tablet or mobile. Home buyers are becoming more demanding in the information they would like before viewing a property. One of the number one complaints home buyers have when searching for their next home is a lack of floor plan. This is because they would like to understand the layout and flow of the property; they want to know how each room is connected to the others. Lovett’s provide floor plans as standard with every property we market but we have something even better. Available as an optional extra, a Virtual Tour gives the potential buyer a complete understanding of the property and its layout. Our Virtual Tours are “Full HD” and allow the viewer a 360 degree spin of each room, allowing the to connect between rooms on the way. Our Virtual Tours give potential buyers an unrivalled feel for your home; meaning when it comes to the viewing they have a good understanding of its merits, and are serious about progressing further. We've been selling property successfully for over 30 years and have the knowledge and experience to ensure we are able to find the right buyer for you, achieving the best price for your property. All our negotiators are fully trained and have the legal skills and expertise to negotiate your sale through to completion, giving advice on all your legal obligations. Unfortunately, Estate Agents don’t always have the best reputation and sadly we often see cases where that reputation is justified. Many agents are guilty of (amongst other things) over-pricing/then quickly reducing, make you undertake viewings, and mishandle the sales progression once an offer has been accepted. At Lovett’s we are genuinely different in our approach. Our Sales Teams work to customer service KPI’s (not scrutinised commission targets) and understand that selling someone’s home has to be handled with the utmost care and attention. We place a big emphasis on recruiting our staff locally. This reflects positively in our valuations – these are based on a wealth of local knowledge, using many factors from current economic climate, to scheduled developments and future infrastructure plans. 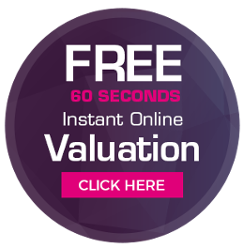 So not only are our valuations more accurate, we also ensure we inform potential buyers all of the unseen benefits of your property and its location. Lovett Sales & Lettings are a member of the National Association of Estate Agents, the Association of Residential Letting Agents, the Property Ombudsman Scheme, and complies with the Tenancy Deposit Protection Scheme. Our proud membership of these bodies provides sellers, buyers, landlords and tenants alike with an assurance that they will receive the highest level of customer service.